Your child is not immune from tooth decay simply because he or she is young. In fact, many children develop some level of decay in their teeth before they finish elementary school. There are many reasons that your child could be dealing with tooth decay, including everything from how they brush to the foods they eat. The more you know about the causes, the more you can help them prevent the problem. 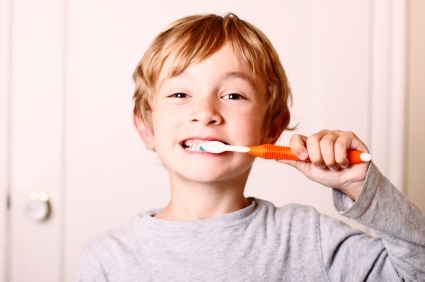 Not brushing teeth properly is one of the most common causes of tooth decay in children. Since they are just starting to learn how to properly brush their teeth, it is important that you help them with anywhere they miss and take them to the dentist every six months like clockwork. Eating sugary foods is another common cause of tooth decay. Having a poor diet can lead to a lot of problems within the body, not just with the teeth. If you are the parent of a picky eater, then you need to work with your pediatrician and pediatric dentist to make sure you are getting your child to eat the best foods possible. If the struggle is severe, make sure you find out what vitamins are best for the situation. If you know what to be on the lookout for, you can make a bit dent in the chances that your child will face early tooth decay. Learn how to help them brush from their dentist if you are not sure, and make sure it is happening at least twice each day. Until they are old enough, make sure you are the one flossing for them, and then, let them take over the process under careful supervision. This will help avoid much of the potential for cavities and more severe forms of tooth decay in your kids. Please contact our office if you have any questions about tooth decay.